I went by this boat at the show, it was beautiful! Really liked the custom layout. 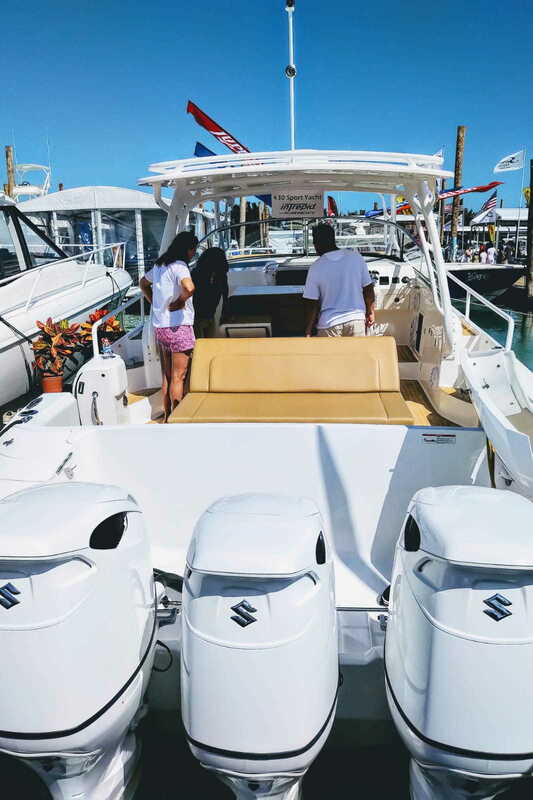 The suzuki’s Looked pretty sweet, how do they perform on this boat? thanks, suzukis are awesome, get about .85mpg, its a heavy big boat. can't uploaded pictures for some reason. 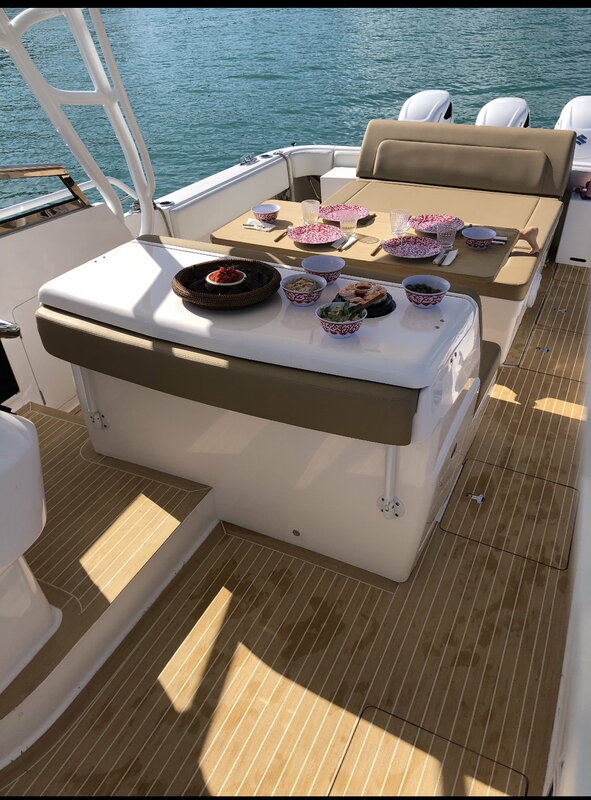 I didn't make it to the boat show but I know they had it set up for dinning, the daybed layout is what I actually use the most. We only put the table out for when we really do a sit down dinner, kind of crazy that I can actually have 6 adults comfortably dinning outside. I'll try to upload some pictures. 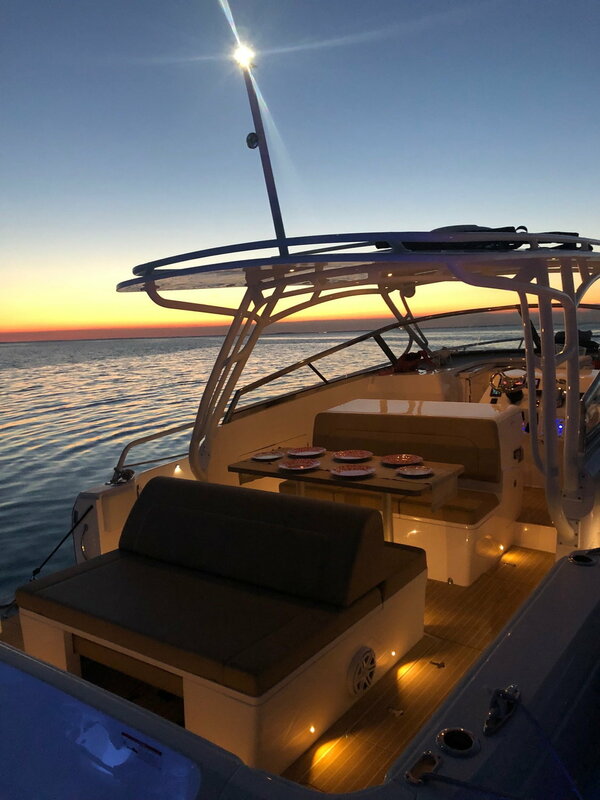 Boat is absolutely perfect for what I do. Keep trying with those pictures! I hope you can figure it out! I would love to see it! Intrepid says one of a kind. One at a time. I’m sure yours is the only Intrepid to use a severed human foot to hold up the table. what in the world is that person doing? these look amazing! Very very cool! dnh2 and Georgianbay like this. 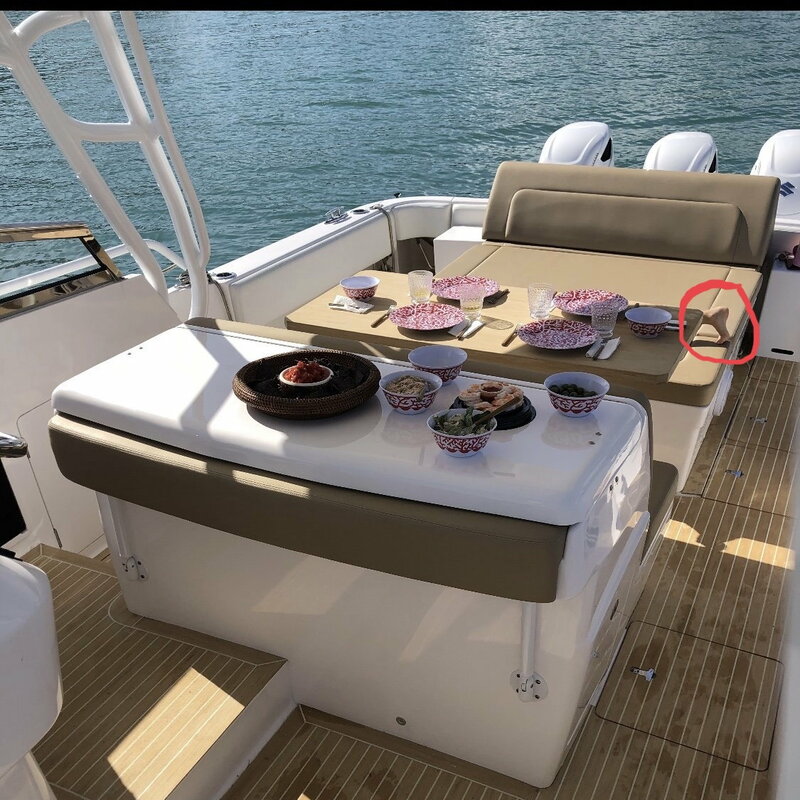 The white table is actually the backrest, you flip it up and its a huge seat for 3 people with a really nice backrest, you can see the cushion a bit. very clever! 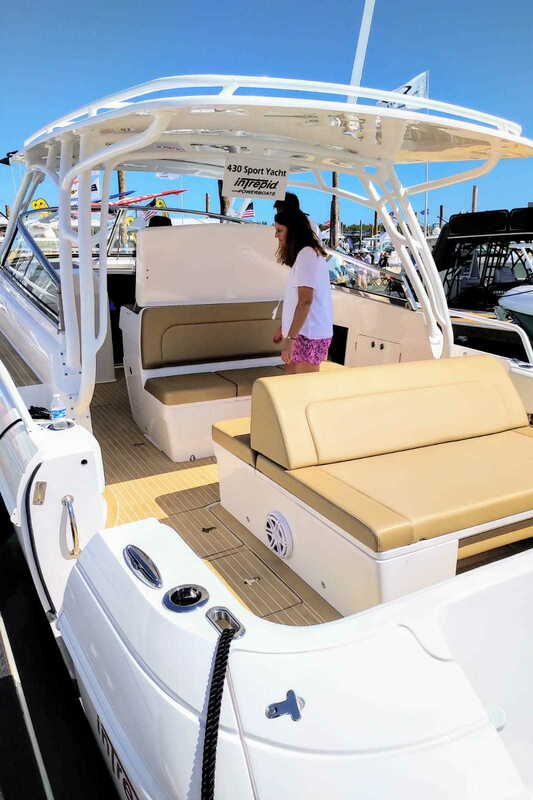 i spoke with alex rizo about the new 40 nomad and commented on your boat. he recognized it right away! Boat looks amazing man! I was wondering how it would turn out but it definitely looks great, it would be an awesome boat to dive/ spear fish off of. Love the flexibility of the layout. dnh2, jheiii and DeepImpact like this. you sir are living the dream! I'm very surprised that we don't see more of these 43's out there! It seems to be kind of a forgotten boat, not big enough to "be the biggest" but easy enough for one guy to handle it. 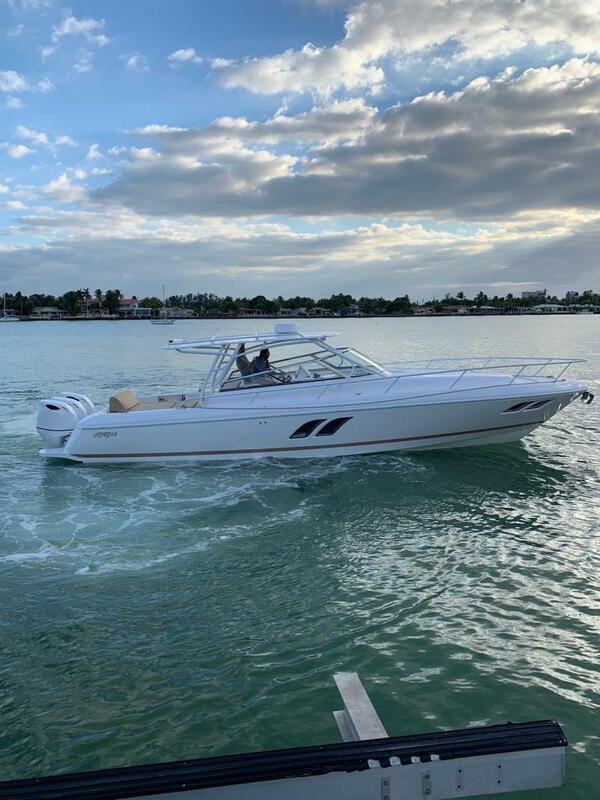 As it stands I do think that the 475 sport yacht is a bit of a compromised design if someone is looking for a "yacht" in that size category... i would think that this layout as a day boat would be perfect for the med and those types of buyers.